With a cutting-edge Intel Core i7-5500U processor and 12 GB of system memory, this laptop is capable of handling multiple applications simultaneously, allowing you to browse the web, enjoy multimedia entertainment and play games with no risk of slow performance. 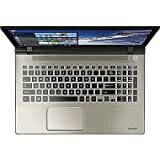 · Intel Core i7-5500U processor for efficient handling of applications · 15.6" touchscreen · 12 GB system memory supports multitasking · 1 TB hard disk provides ample storage for files · DVD drive for an enhanced multimedia experience · Windows 10 operating system suits any user · 45 Wh battery for on-the-go usage This powerful Toshiba satellite laptop uses an advanced Intel Core i7-5500U Processor to provide you with an optimal computing experience. An intuitive Windows 10 operating system paired with a touch-screen display helps you to accomplish what is important to you. Perfect for media lovers, features on this laptop make it easy to enjoy and share your favorite files. Save on energy costs using this Energy Star-certified computer. Windows 10 Operating System This Toshiba laptop has a touch screen that allows you to fully enjoy the features of a Windows 10 operating system Share and Enjoy Media This Windows 10 laptop has a vivid TruBrite LED back-lit touch screen and Mobile Intel graphics that allow you to enjoy an enhanced visual experience. Bluetooth connectivity, a built-in media card reader and three USB 3.0 ports make it easy to upload and share videos, photos and songs. 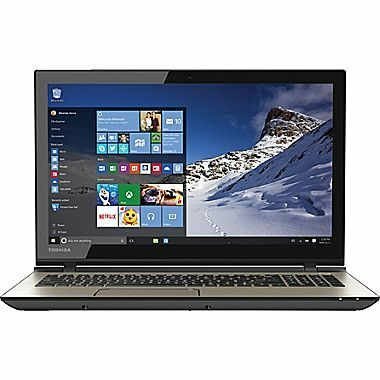 The Environmentally Friendly Option Reduce your home's energy consumption and help to save the environment by using this Energy Star-certified, EPEAT gold-registered satellite laptop. It also has eco-utility features that allow you to manually control power usage with a single click.